iTunes volume controller and more (was iTunesVolume). Is there a better alternative to Mousqueak? Is Mousqueak really the best app in Audio category? Will Mousqueak work good on macOS 10.13.4? 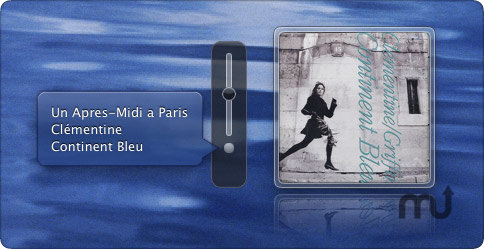 Mousqueak is an one-slider style iTunes controller for mouse. You can open the preferences window or quit this application by using the context menu of Slider. Includes 64bit binary for Snow Leopard. Rating menu shows half-stars when option key is pressed. Added an option to hide behind other windows when iTunes is paused. Core Graphics Animation "Warp Switch" have been added. Mousqueak needs a rating. Be the first to rate this app and get the discussion started! Some windows will appear when cursor touches Slider. When you want to click them, touch Slider and move cursor to the window pressing control key. Added an option to disable it when cursor is touching Slider. Added an option to fade out when touched. Now the timer continues counting down after the computer awakes from sleep. It no longer beeps when pressing keys. Some Foundation methods were replaced to Core Foundation functions.